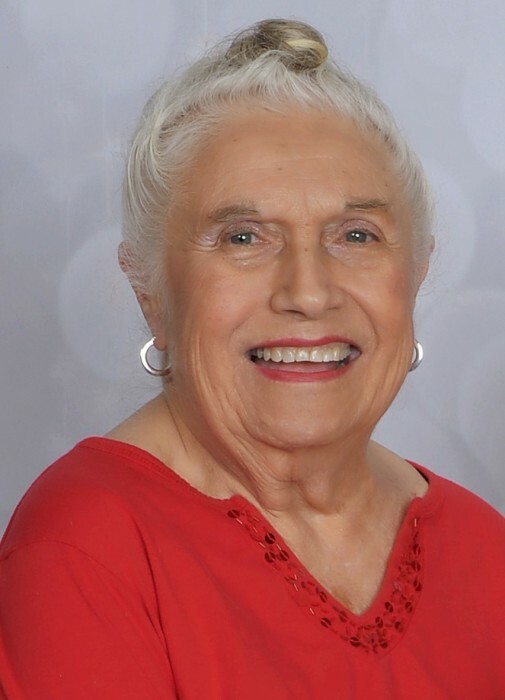 Beverly Lenore Puckett, 85, of Broken Bow, Oklahoma entered into eternal life on the 3rd of July, 2018 in Idabel, Oklahoma after a very brief illness. She was born on February 9, 1933 in Passaic, New Jersey, to Lenore and Gustave Klein. Twelve years later she was joined by a baby sister, Carole Marie. As a child, Beverly enjoyed spending summers at her grandparents’ cabin in the mountains of New Jersey. She graduated from Clifton High School in Clifton, New Jersey, in 1950 where she enjoyed singing in the school choir. In 1951 she graduated from Drake’s Business College in Passaic, New Jersey. She worked for the Curtiss-Wright Corporation as a secretary up until the time she was married. Beverly Klein wed Jim Stofregen. They had three sons, Scott James in 1958, Lance Michael in 1959 and Keith Fred Gustave in 1960. After the sudden death of her husband, Beverly reentered the work force in 1962, working for the Federal Aviation Administration in Fort Worth, Texas, working her way up from typist to ultimately becoming the Administrative Assistant to the Director in 1972. Beverly met George Albert Puckett on a blind date arranged by coworkers. They were engaged to be married on Halloween 1969, and exactly three years later Linda Lenore Puckett was born. They made their home in Ft. Worth, Texas until moving to Broken Bow, Oklahoma in 1974. Beverly always yearned to go to college and once Linda began school, she began taking college courses. She excelled at academics and not only graduated with an English degree from Southeastern Oklahoma State University in 1984, she also went on to get a Masters of Education in Public School Administration in 1986. Beverly began her teaching career in 1986 as a high school English teacher in Eagletown, Oklahoma, where she worked for 10 years. She always enjoyed running into former students even after she retired. Beverly’s husband, George, died in 2001. She remained very active in the community and served on the Broken Bow Library Board. She was honored to be the 2015 recipient of the Broken Bow Chamber of Commerce Heritage Award honoring the Puckett family’s service to the community. She also spent time volunteering for Animal Rescue and Kare (ARK) of McCurtain County. Beverly rescued many needy cats and dogs over the years and enjoyed giving them a loving home. She also enjoyed feeding and watching the numerous wild birds that gathered around her patio and yard. Beverly was an avid traveler in her retirement. She visited Tahiti, New Zealand, Mexico, Canada, Hawaii and also Alaska. Beverly was a devote Christian and was a member of the First United Methodist Church of Broken Bow for over forty years. Beverly was preceded in death by her parents; Lenore and Gustave Klein, and grandsons; Jason Stofregen, and Seth Stofregen, sister; Carole David. She leaves to cherish her memory, children; Linda Puckett Shovlin and husband, Matthew of Argyle, Texas, Scott Stofregen and wife, Guadalupe of Ft. Worth, Texas, Lance Stofregen and wife, Kathleen of Broken Bow, Oklahoma, and Keith Stofregen and wife JoAnn of Ellicott City, Maryland, grandchildren; Clint Stofregen, Kassie Flinn, Kim Little, Allison Stofregen, Heather Stofregen, Gus Shovlin, Charlie Shovlin, Luis and Mitzi Leon, great-grandchildren; Jaxson Stofregen, Kenlee Flinn, Avenlea Little, and Ethan Flinn, and a host of other relatives and friends. A visitation for family and friends will be held on Sunday, July 8, 2018, from 5:00 PM until 7:00 PM at Bunch-Singleton Funeral Home. For those that would like to honor Beverly, donations be made to ARK in lieu of flowers.